I have been enjoying your blog and as a new student of Dslr photography I wonder if you'd consider describing your equipment choices and something of your approach? Thank you for your wonderful pages! Thanks, Springman -- I'm glad to hear you are enjoying the blog, and thanks for becoming a Follower! My current equipment for wildlife shooting is a Nikon D90 and a Tamron 200-500mm lens, and I almost always shoot on a tripod (that has independent movement of the legs so that I can put it flat along the ground for short species). As for an approach, I've been thinking of making a few posts about that for a while, but in brief, I like to get as close to wildlife as I can without disturbing it. 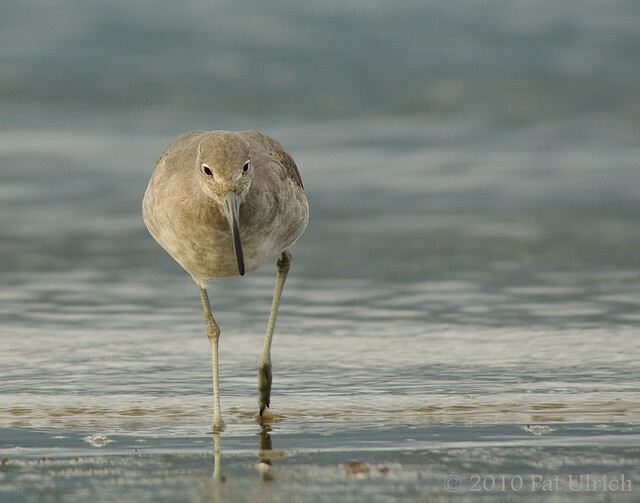 For shorebirds, that means getting low and approaching low to the ground, and never moving straight towards them. For mammals, this usually entails watching them from afar to gauge where they are headed, and then picking a spot where I am visible to them and allowing them to approach me, if they choose to do so. By allowing the animals to choose to come closer to me, they are much more relaxed with my presence.